Nelson Oliveira scored a late winner as Reading boosted their Sky Bet Championship survival hopes with a 2-1 victory over Blackburn. Oliveira returned up front for Reading following a one-match absence after he sustained horrific facial injuries - including a nose broken in four places - in the draw with Villa. He was injured after an alleged stamp on his head by Villa's Tyrone Mings - but the on-loan defender was not charged by the FA. 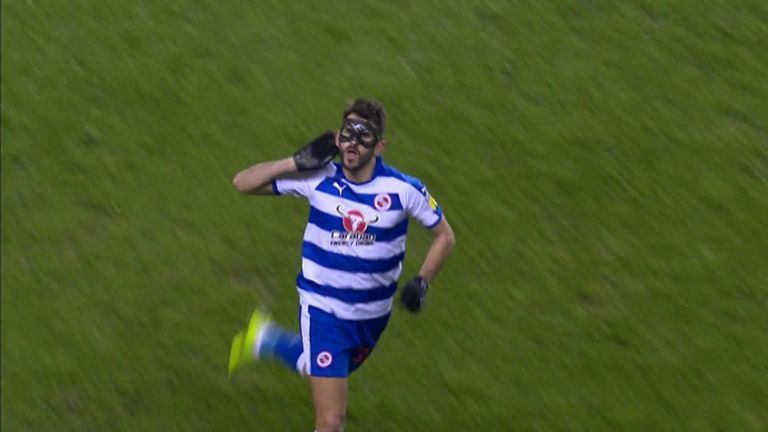 However, the injury and mask did not stop the Portuguese striker from scoring a vital late goal as Reading claimed an important victory at the Madejski Stadium.